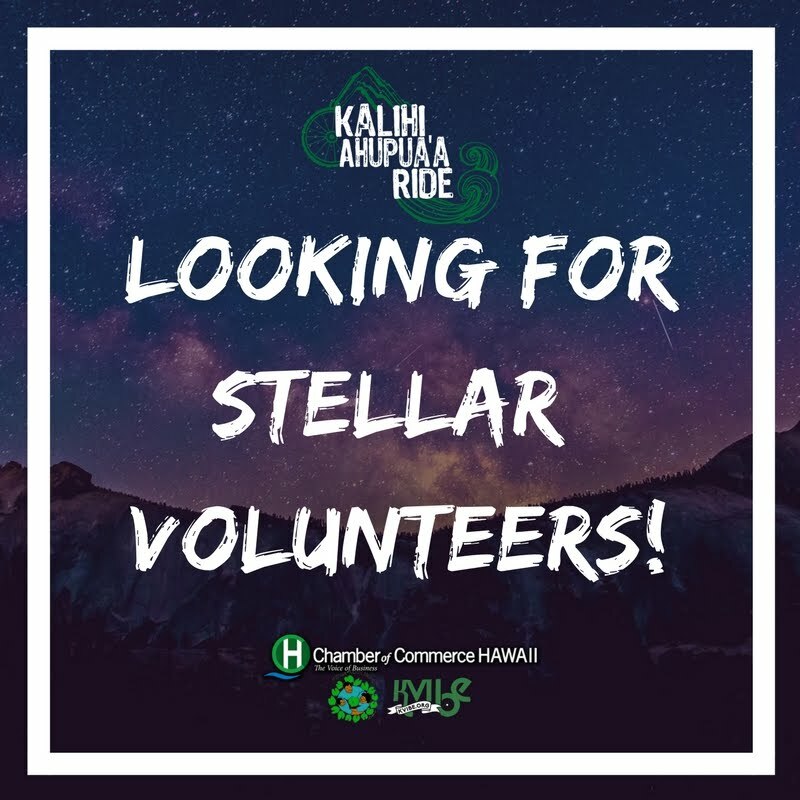 We're on the lookout for some ✨ 🚀STELLAR 🌌 💫volunteers for our Kalihi Ahupuaʻa Ride! 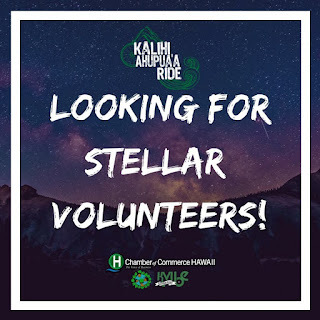 (Saturday June 24th) We're looking for fun, energetic, and community-oriented folks to help with tasks like set-up, break-down, and sign waving. Mahalo for helping us make our 1st Ahupua'a Ride a truly memorable one! Did you know that you can shorten your links with AdFly and get $$$$ from every visitor to your shortened links. Opened in 2005 as part of Kokua Kalihi Valley Comprehensive Family Services' commitment to providing community-based health initiatives that honor the development of personal relationships and respect for cultural values, the Kalihi Valley Instructional Bike Exchange (KVIBE) uses bicycling to promote physical and emotional well-being by fostering healthy and sustainable relationships between youth leaders, the community and the land. 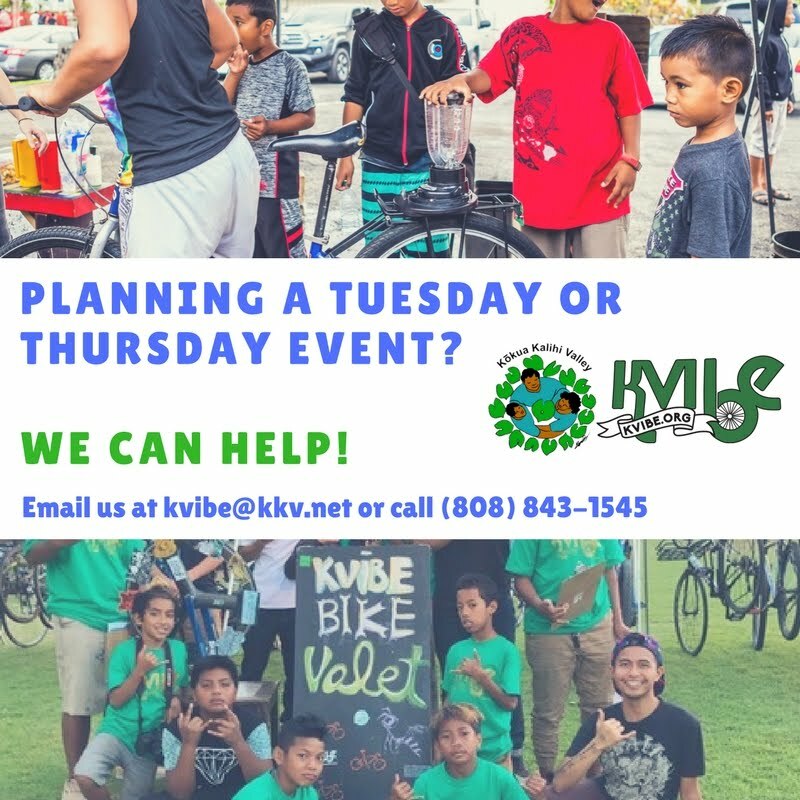 Join Us and Ride Kalihi! 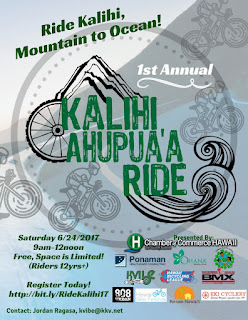 Announcing our Inaugural Kalihi Ahupuaʻa Ride! KVIBE at Your Next Event! The Quinquennial of Aloha Fixed. The Perks of Aloha Saturday.